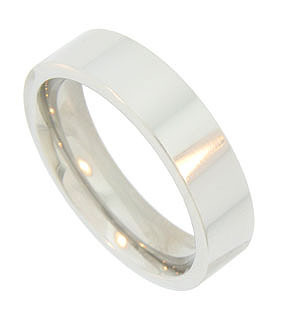 This classic 14K white gold mens wedding band is a brightly polished wide ring with flat edges. 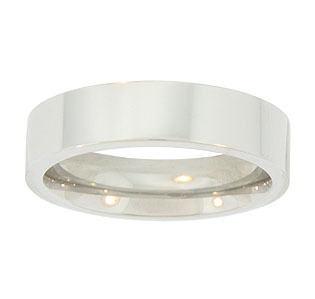 The modern wedding ring measures 6 mm in width. Size 10 1/4. We can re-size or reorder in other sizes. Also available in 18K, yellow gold, platinum or palladium. Cost will depend on the current market value of the precious metal used.